BY LOUISVILLE IRISH FEST The Louisville Irish Fest is held on the final weekend in September of each year and features traditional Food, Unique Gifts, Children’s Events, Irish Dancing, Libations and Music from the Emerald Isle. Enjoy music from Blarney Castle, Runa, and Keltricity. http://louisvilleirishfest.com NOTES * Helping you celebrate Celtic culture through music. My name is Marc Gunn. I am a Celtic and Geek musician and podcaster. This podcast is dedicated to the indie Celtic musicians. I want to ask you to support these artists. Share the show with your friends. And find more episodes at celticmusicpodcast.com. You can also support this podcast on Patreon. * CELTIC PODCAST NEWS. Do you have news to share with the podcast or the Celtic music world? Use the hashtag #CelticMusicNews. Altan is fundraising a new album through PledgeMusic. Traditional Irish musicians in the DFW area, with the support of the Traditional Irish Music Education Society (TIMES), are banding together to play a 24-hour session to raise money for those who have been affected by Hurricane Harvey. Black Market Haggis, who played the first track of this podcast are helping to raise awareness for this event. Support Tunes for Texas right now! If you want more Halfway to St Patrick's Day music, I published a special for the Pub Songs Podcast. You'll enjoy a lot of traditional Irish & Celtic pub songs from my many bands. Listen and subscribe at pubsong.net. And if you enjoy my music, I have an incredible special. You can get 5 of my CDs for just $24. Follow the link to my Bandcamp page to take advantage of this low offer and save 68% off the regular price! The offer is good in September 2017 only. * I WANT YOUR FEEDBACK: What are you doing today while listening to the podcast? You can send a written comment along with a picture of what you're doing while listening. Email a voicemail message to celticpodcast@gmail.com Robert Eby emailed: "Thanks for your great work on the podcast, Marc! I love how much diversity of Celtic music you put into it. I especially love Celtic rock and you have a special hour just on that with bands I’m mostly unfamiliar with! Ed Miller used to host a Celtic segment on Austin’s NPR station, but he NEVER played anything with bagpipes. I have a theory that Ed Miller doesn’t like the bagpipes. But you, Marc, you aren’t afraid of anything!" You're very welcome Robert. That's one of the many things I love about this podcast. The diversity. That is what truly makes America great. A few years ago, I published my CD How America Saved Irish Music (listen to show #169). The main part of the story is that the Irish diaspora preserved traditional Irish music, which made it's way back to Ireland. But the other aspect is that we are melting pot of different cultures. And all of those influences end up in contemporary Irish & Celtic music, whether you're talking about rock'n'roll, R&B, jazz, country, bluegrass, hip hop, electronica. And it's brilliant. The traditional culture is important but so are the changes that affect the music every day. Without it, I would be playing the same 12 bands over and over again. As for Ed Miller, I love that theory. And I have a few vague memories of him cracking jokes about bagpipes which may confirm your hypothesis. If you're like Ed Miller or just like Ed Miller's music, he has a radio program called Across the Pond. It comes out on Sundays from 6-8 PM on Sunradio in Austin. And I *think* you can listen to it online. 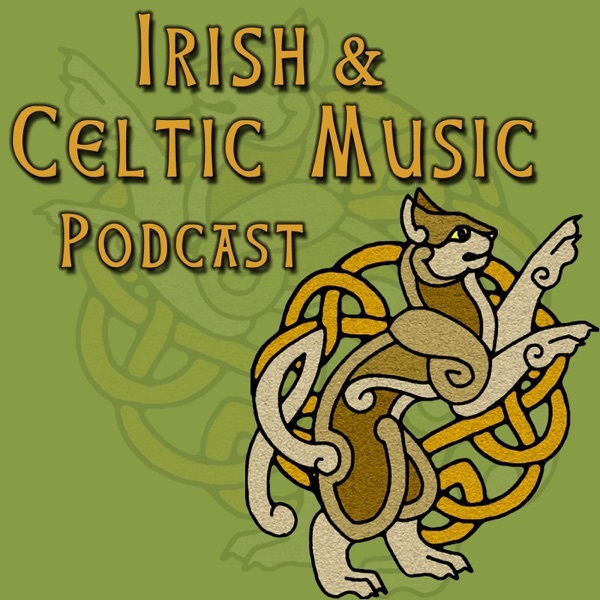 The Irish & Celtic Music Podcast exists on the generosity of our Patrons of the Podcast. You can pledge as little as $1 per episode to pay for the production of this podcast, as well as my time in producing the show. You'll even get shows before regular listeners and my deepest thanks. I want to thank our newest patron: Scott Bradlee Welton, Jamie Ray, Tyler Murphy, Ellen Calnan. Wanna enjoy another 2-hour episode of Celtic Rock? Become a patron today to celebrate Celtic culture through music! http://patreon.com/celticpodcast THIS WEEK IN CELTIC MUSIC 0:29 "Concertina Reel Set" by Black Market Haggis from Better Than It Sounds 4:07 "Rusheen Bay" by Sharon Shannon from Sacred Earth 7:58 "Keg of Brandy" by Lochlainn from Fisher Street 12;41 "Windmills in the Sky" by Coast from Windmills in the Sky 17:16 "Unk's Last Stand" by Forkroot from Water & Shade 21:10 "Black Velvet Band" by Screeched Inn from Screeched Inn 25:36 "Autumn Child" by Peat in the Creel from The Barn Session 28:53 CELTIC PODCAST NEWS 30:19 "Rinn Mi Córr is Naoi Mìle / I Travelled More Than Nine Miles" by Mary Jane Lamond & Wendy MacIsaac from Seinn 33:36 "Song Without Words" by Mark Davies from The Celtic Harp 37:29 "You're Not Irish" by Seamus Kennedy from On the Rocks 40:25 "The Hosting of the Sidhe" by Crepuscule from Horizon 44:42 "Paddy's Lamentation" by Screaming Orphans from Taproom 50:14 CELTIC FEEDBACK 52:18 "Gie the Fiddler a Dram" by Ed Miller from Many's The Fine Tale 57:08 "Jim's Aire/Scotland the Brave" by Men of Thunda 59:25 "Irish Air" by Fiddler's Green from Drive Me Mad 1:03:15 "The Amorous Lover" by Alasdair White from An Clar Geal (The White Album) 1:08:58 "Raise My Glass" by Kilmaine Saints from Whiskey Blues & Faded Tattoos 1:13:42 "Fisherman's Song for Attracting the Seals/Song of the Seals" by Nancy Daily-Green from Delia's Hearth 1:18:56 "Gentlemen Sing" by Battlelegs from Lost My Shoes 1:22:59 "Slainte Mhaith" by Kilted Kings from Name On My Soul VOTE IN THE CELTIC TOP 20. It's easier than ever to do. Just list the show number, and the name of one or two bands. That's it. You can vote once for each episode help me create next year's Best Celtic music of 2017 episode. bestcelticmusic.net/vote/ The Irish & Celtic Music Podcast was produced by Marc Gunn, The Celtfather. To subscribe, go to iTunes or to our website where you can become a Patron of the Podcast for as little as $1 per episode. Promote Celtic culture through music at celticmusicpodcast.com.